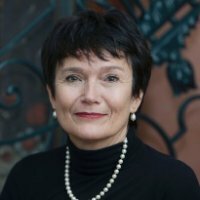 Fransje van der Waals (PhD) received her MD degree from the Faculty of Medicine of the University of Amsterdam in 1978 and her PhD degree from the same University in 1995. In 1978 she was a Fogarty Fellow at the Child and Family Research Branch, National Institutes of Health, Bethesda, Maryland, USA and in 1983 undertook a second fellowship at the Laboratory of Central Nervous System Studies of the NIH, Bethesda, Maryland, USA. In 1981 van der Waals was board certified in the Netherlands as a General Practitioner. From 1987-2000 van der Waals was Assistant Professor and Head of the Women’s Health Studies Department, Academic Medical Center, and University of Amsterdam. Fransje van der Waals published over 40 articles in peer-reviewed journals during the period 1979-2012. She published five books between 1983 and 1997 on subjects concerning women’s health. Throughout her career Fransje van der Waals has remained active as a general practitioner and has worked for 35 years in the Reguliersgracht clinic in the center of Amsterdam. In 2001 van der Waals accepted a part-time appointment as Coordinator of the Family Study of Antiretroviral Therapy (FAST), a study of AIDS treatment of families in rural India. Recognizing the need for the training of staff involved in the provision of ART, she established the Health[e]Foundation in 2002 with Joep Lange and Carlo Gianquinto, an organization that develops and delivers blended training programs to health care workers in the developing world. After the first HIV[e]Education program, many more followed: Pediatric HIV[e]Education, TB[e]Education, Mental Health and HIV[e]Education, Tele microbiology[e]Education, Occupational Health[e]Education, Cardiovascular Diseases[e]Education, Female and Family[e]Education (concerning SRHR and neonatal health), Manuscript writing[e]Education, and the prevention programs Health[e]Families and Health[e]Living. Most programs are run in several languages with training given in Argentina, Aruba, Bahama’s, Bangladesh, Cambodia, Cameroon, Curacao, India, Indonesia, Haiti, Jamaica, Kenya, Kyrgyzstan, Malawi, Mozambique, Netherlands, Poland, Rwanda, Salvador, South Africa, Tajikistan, Tanzania, Thailand, Uganda, and Vietnam. She was appointed as Professor in Global Health Education at the Amsterdam UMC of the University of Amsterdam in 2014.